Rules of the Sandpit - Something to ponder! 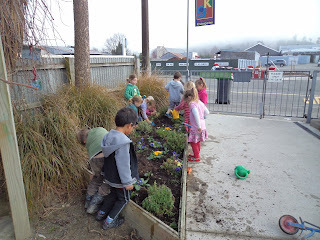 We are happy to welcome Heather to Geraldine Kindergarten as a full time teacher. Please make yourself known to her as Heather is very excited to get to know the children and families. 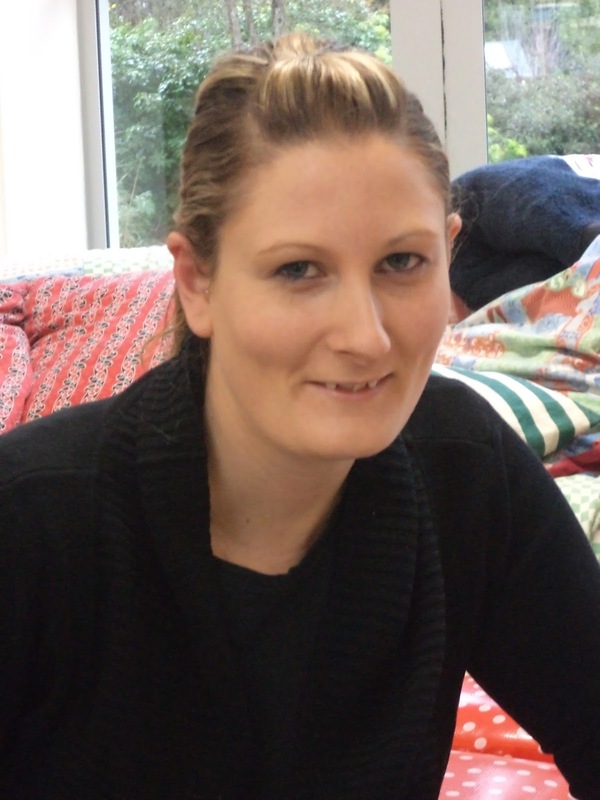 Heather is a first year graduate and will be undertaking her Provisional Registration (a 2 year process) under the guidance of Tracey. 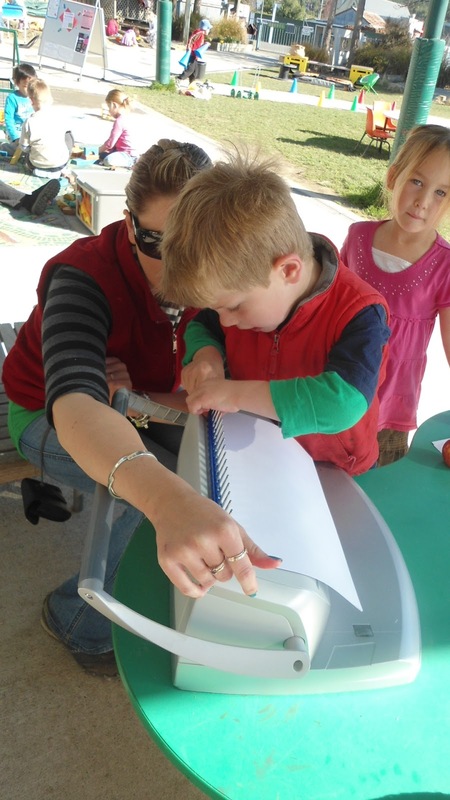 You may remember that we have just celebrated Ashleigh's successful Registration earlier in Term 1. 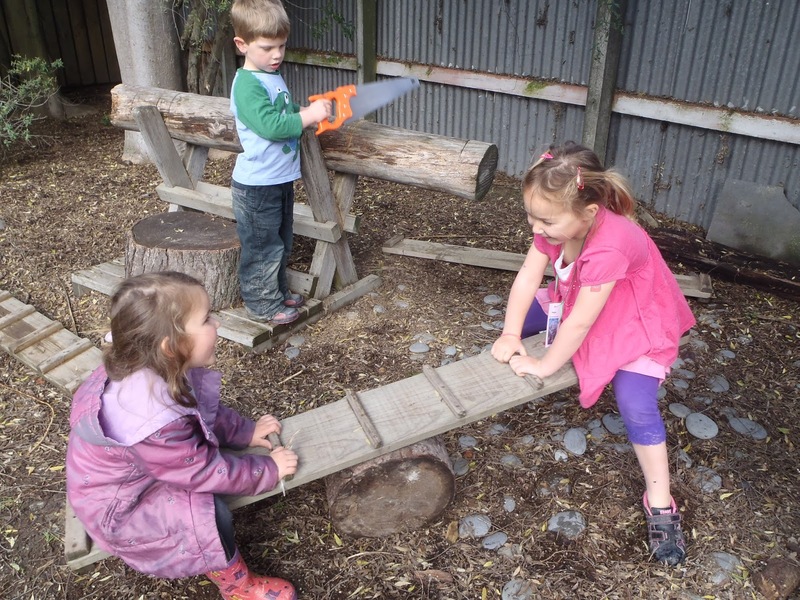 Alycia and Rachel made a seesaw with a stump and plank. They had to hang on to gain their balance as they maneuvered it up and down. And then Rachel confidently said that she could stand in the middle. Rachel's balance was amazing as she controlled the seesaw movement. Amethyst arrived and excited to have a go too. 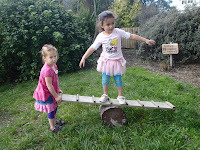 She asked for Rachel's help as she found her balance and was thrilled to do the same. It was a great thrill to see the support the children were giving each other, to challenge themselves to aspire to do what they see others are doing. 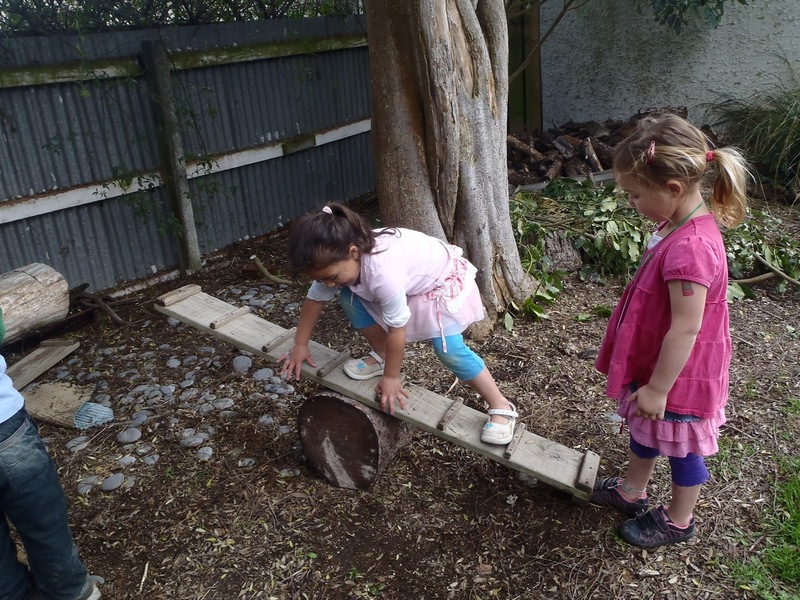 Children that take on risks are often whakamiharo/surprised to find out what they can do too. 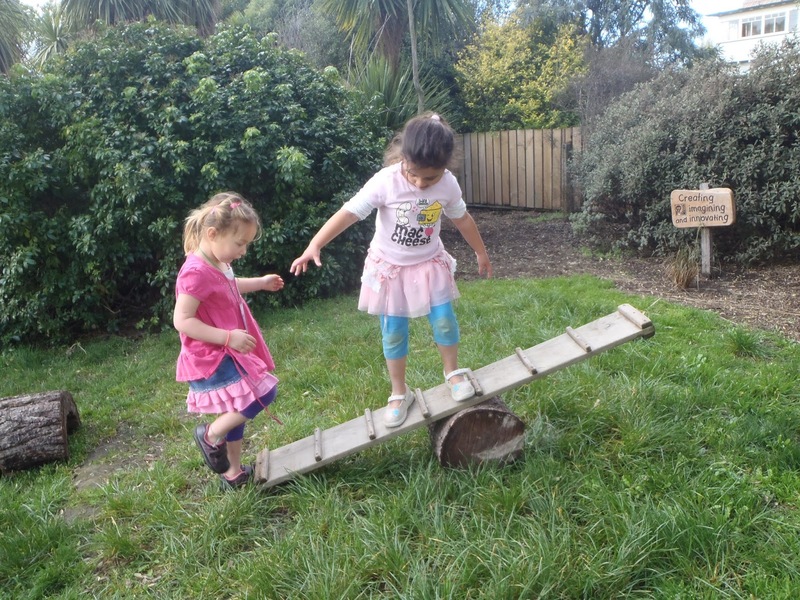 Rachel and Amethyst know each other well where they can comfortably help each other to achieve an idea they had in mind that resonates with the principle of manaakitanga - care and respect. 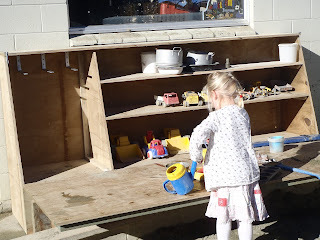 Yesterday afternoon something BIG and LONG and HEAVY arrived at Kindergarten on the back on Lindsay's truck! All of the children were lined up at the gate watching with excitement until Ben finally arrived and the action began as he helped lift it off and bring it into Kindergarten. What is it you ask? A brand new storage box for our sandpit toys! At out end of session mat time, our kaitiaki were recognised and congratulated on their wonderful efforts. 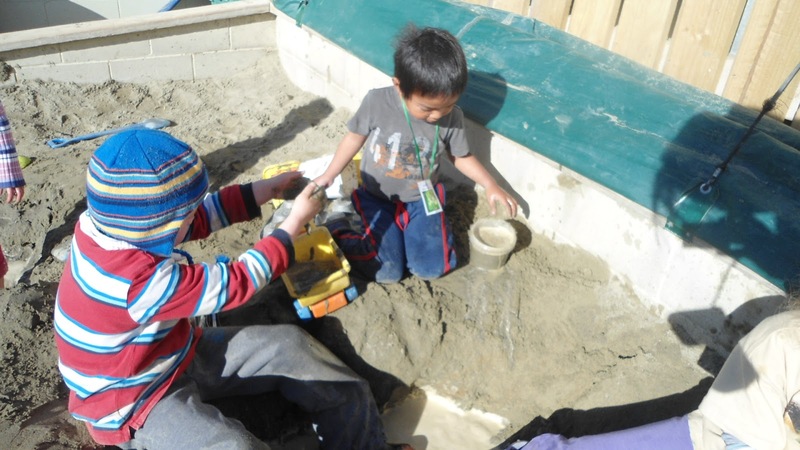 Most of these children were part of a large group in the sandpit. 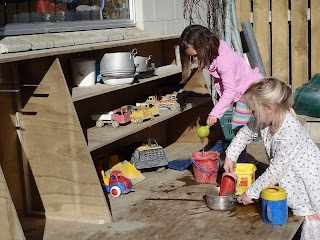 Every child completely immersed in their own play, while respecting the work of others alongside them - especially when all alongside each other in such a small space. 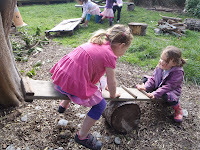 Everyone was mindful of where they were putting resources they were using, while ensuring that they were moving carefully in the tight space so that others work was not damaged. Joe was digging a big hole, and I heard him say that he wanted to dig it "deeper and deeper". 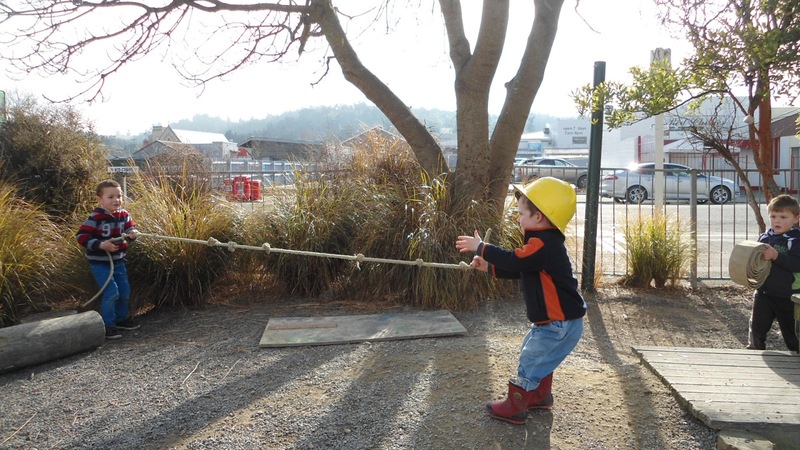 With support and encouragement from others around him he was able to achieve his goal! Tracey acknowledged the respectful work that everyone was engaged in this morning and congratulated them on being a kaitiaki – with one of our kaitiaki medals of course. Āe mārika - How about that! 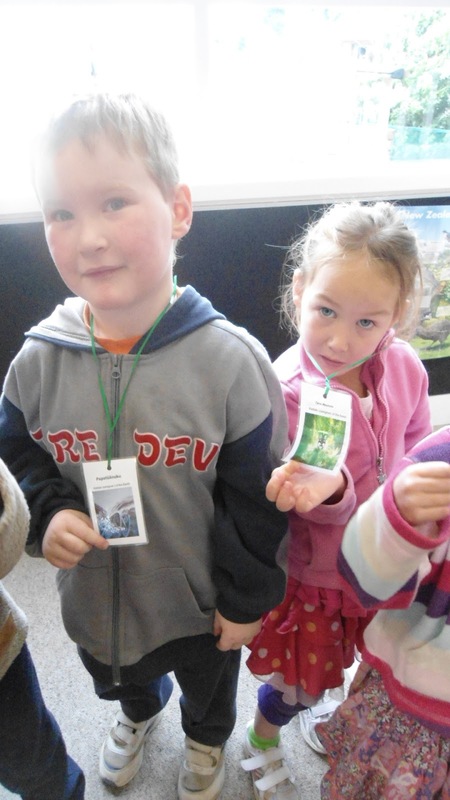 To celebrate our kaitiaki ( our carers or guardians of our kindergarten environment and one another) we have created special medals with images of kaitiaki of the past such as Tane the guardian of the forest. When children show care and respect( manaakitanga) in various ways they get to wear a special medal. Today teachers were supporting children with recognising care and respect in play ( based on what they shared this morning when we all came together) but very soon we hope that our children will take responsibility for handing these out to their peers when they recognise manaakitanga in action.So this culture of care and respect is the responsibility of everyone who belongs here. 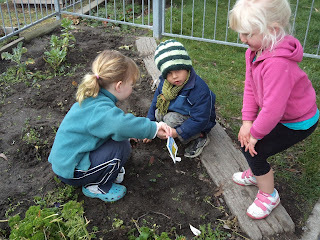 Althea had decided something she wanted to learn more about at kindergarten was planting. 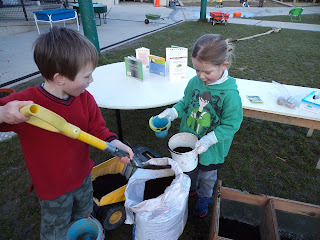 She was very clear and articulate about what that would look like including the resources she would need" to find out how to plant seeds carefully and lo ok after them" Althea wanted to plant Snap Dragon seeds. Her interest in planting seeds was soon shared by others who all helped to plant a range of seeds that we can nurture inside over the cooler days until the weather warms up to transfer them outside. We are going to be the caregivers/kaitiaki of our seeds, watering them and ensuring they have enough sun. We heard a siren in the town! Abigail asked, "Why is it so loud?" 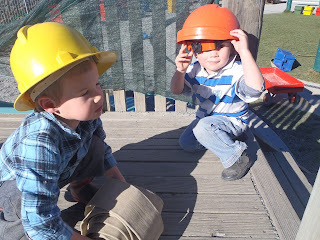 Jed and Harvey said it has to be loud and raced off to the garage and returned with hard hats on. "We have to get the fire out!" 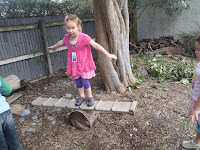 (Abigail ran shouting wee-ooo all the way to the fire!) 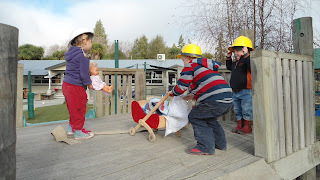 It was amazing to watch the children being so engaged in their play pretending to be the fire fighters. They said they had to rescue the baby trapped upstairs. 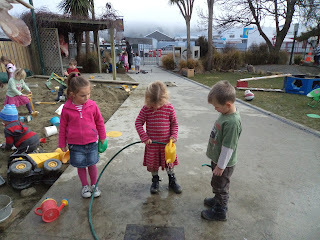 After bringing the baby down they used the hoses to put out the fire. Jed came over and told me the fire was out and explained that he was Fireman Sam and that is what he does. However, we had a problem because Harvey wanted to be Fireman Sam too. 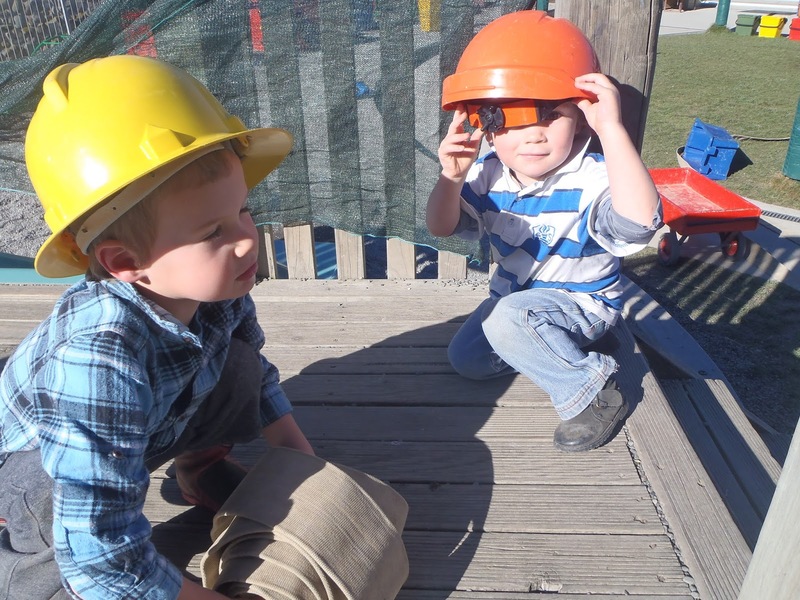 Could we have 2 Fireman Sam's? Not on your nelly! Sandra told me today that they decided to take turns. So its great that we will always have a Fireman Sam! The children initiated the play and the play is supporting their understanding of fire and safety for themselves. It helps us to work with them when we practice our own fire safety procedures and follow a plan to keep us safe if the loud alarm activates. Do you have a plan at home? I wonder if a waka tinei ahi (fire engine) will visit the Kindergarten sometime? Last Friday Sandra took an enthusistic group of gardeners to our local plant shop for Nohonga tahitanga (our Friday visits into the community). 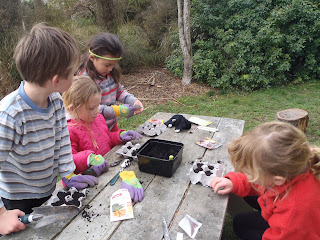 The children's interest was sustained over the weekend with them keen to get planting as soon as they came in the gate. 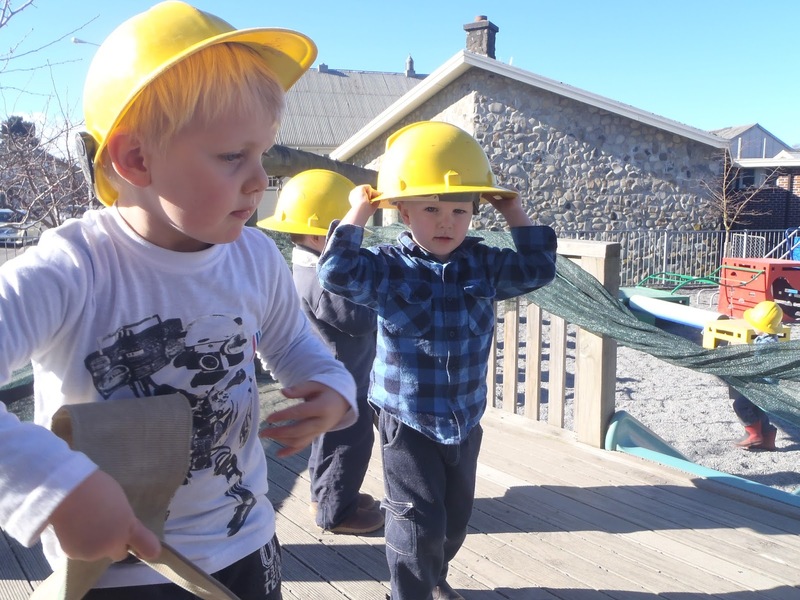 Kaitiakitanga is based on the belief that people are responsible for caring for their natural resources and for nurturing them to sustain their existence. 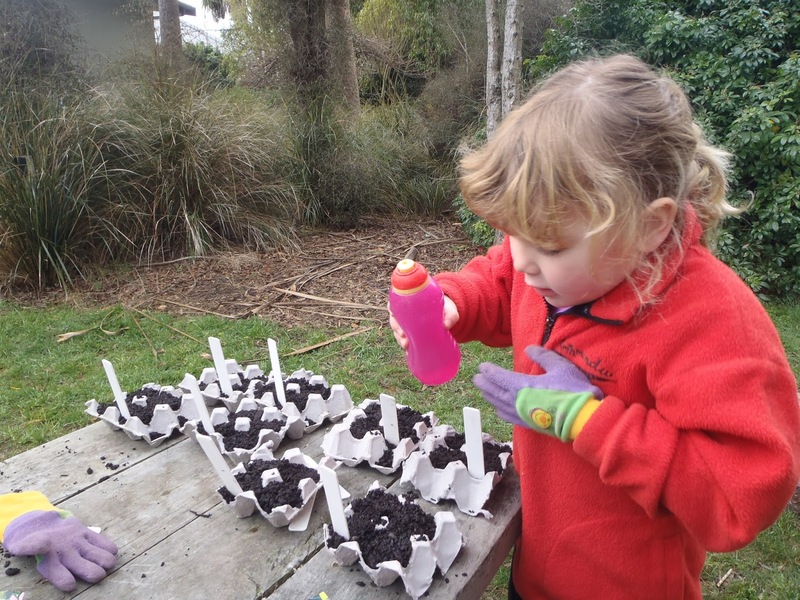 Taking responsibility for buying, choosing,planting and nurturing what is in our gardens ,the children will take the role of the teina and care and protect our seeds so that they may grow and give us food and flowers for enjoyment and to feed us. 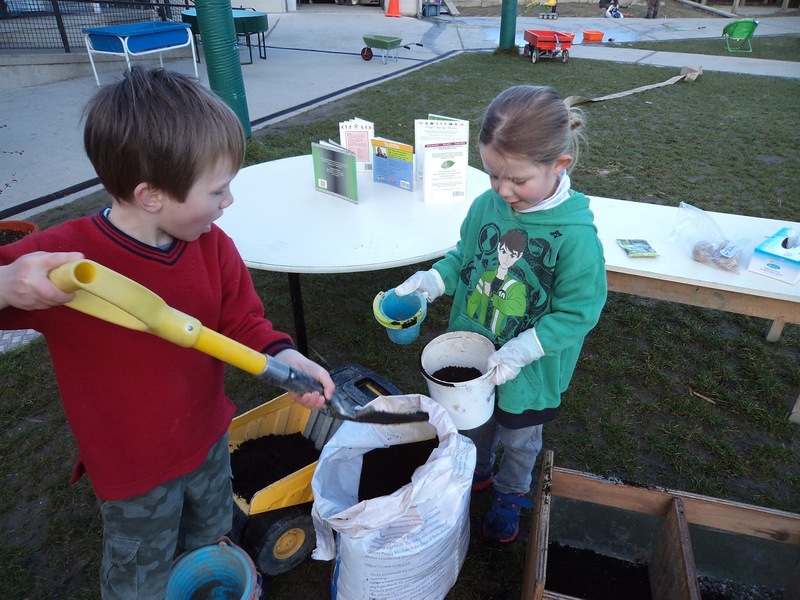 Having responsibility for caring for our environment also promotes a sense of pride and belonging so that children truely believe that kindergarten is their place.